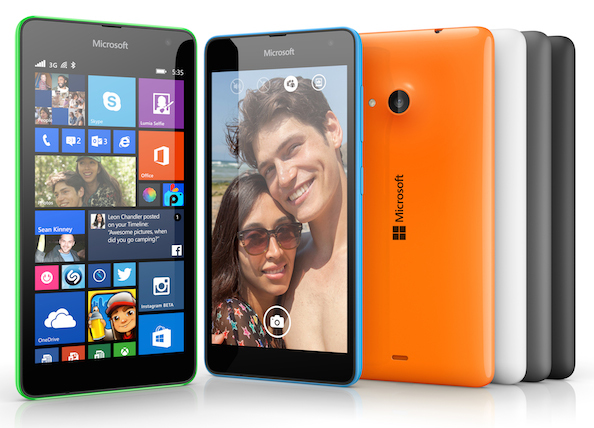 Microsoft is finally putting its own brand on the phones it makes and sells itself. The Windows giant's latest Lumia 535 drops the Nokia branding completely – as expected – and will instead sport a proud "Microsoft" front and rear. The device itself is unremarkable except for a very aggressive price: it's a mere €110 (£86) before taxes and subsidies. 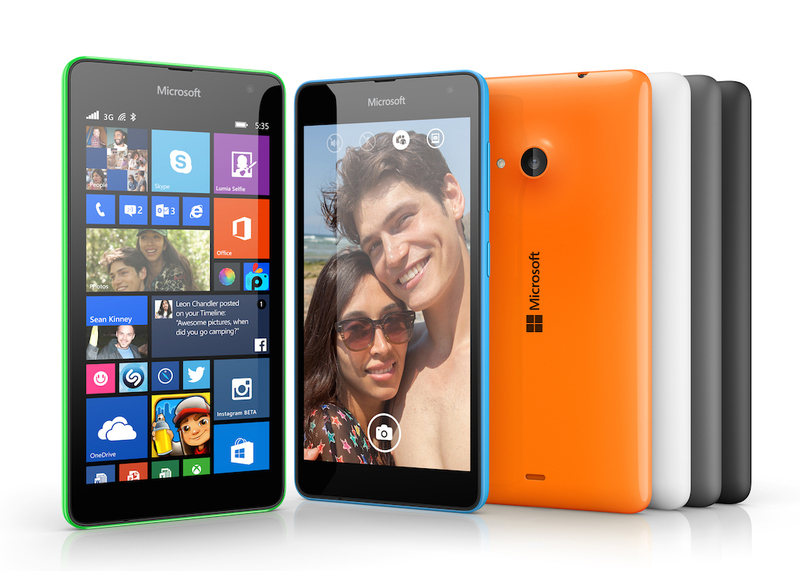 Which undercuts its closest sibling budget Lumia (the 630) by around £20, while offering rather more. The Lumia 535 has a 5-inch (635: 4.5inch) display, based on the same quad core budget platform, yet with the ambient light sensor, LED camera flash and front-facing camera - all of which were omitted from the 630/635 and 530 cheapies. Full specs can be seen here. The 630 is currently just over £100 SIM free by comparison, and probably overdue a seasonal price cut. The 535's front-facing camera is a giant (for this price) 5MP - for those selfies or Skype calls. Microsoft opted for a 1905mAh battery, not the biggest they could have fitted, to keep the device slim. Microsoft announced the acquisition of Nokia's mobile division in September 2013 but didn't wrap up the deal until April. Included in the $7.2bn deal were licenses to use the Nokia brand for a limited period. Nokia itself agreed not to make mobile devices until the end of next year. From 2000 to 2009 Nokia was the world's fifth biggest brand on Interbrand's rankings - so the disappearance of Nokia from Lumia hardware may be considered to be quite damaging. Or perhaps it won't at all: Microsoft's brand has consistently ranked higher than Nokia's (according to Interbrand anyway) and over 110m Xbox consoles have been sold, giving it a decade in the consumer market. Signing an apartment lease in San Francisco 15 years ago, the buildings manager enthused to me about gadgets. "I love all Japanese electronics, and smartest of all the Japanese companies is Nokia." True story.